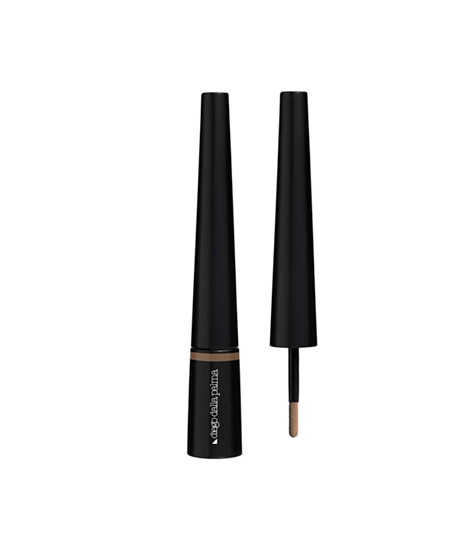 Long lasting conceived to design and fill up eyebrows with simple gestures for a natural effect.The long-lasting and buildable texture gives an extremely natural effect and an matt finish.The innovative latest generation latex applicator makes the application very easy thanks to its soft and firm texture, without smudges and halos. Set the eyebrows shape by brushing them upwards and outwards with the professional double ended brush n.101. Then apply the powder with fine brush strokes following the eyebrow arch to design, fill up and intensify them to your desired shape. For a more intense effect, apply a second layer of the powder, then blend it out brushing the eyebrows with the brush n.101. In base of the quantity of product, it is possible to create an effect from natural to graphic. THE PLUS Defines, fills and models with precision Long lasting and matt finish Excellent coverage Latex applicator for an easy application without smudges and halos. The powder texture allows to create a natural effect.